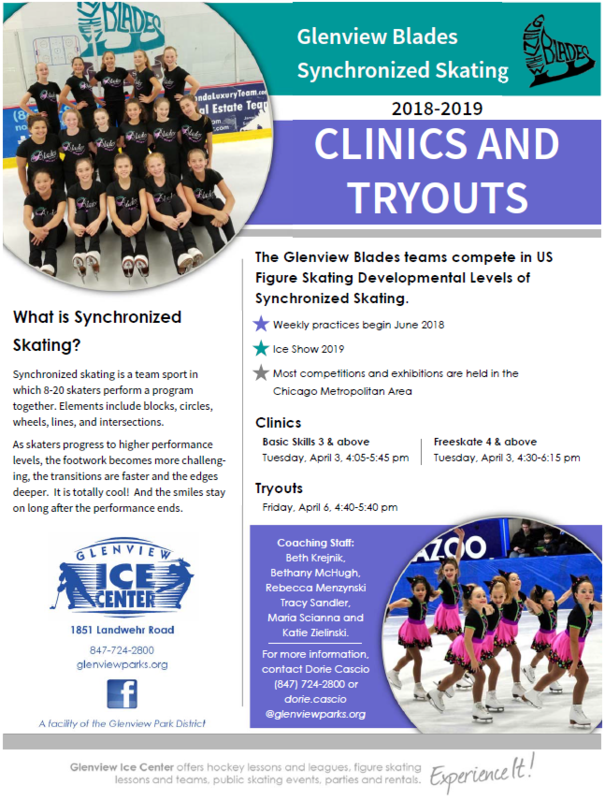 Come find out about the synchronized skating teams at the Glenview Blades Open House Tuesday, March 13th 5:00pm at the Glenview Ice Rink! Teams for beginners through advanced skaters. Save the date for the Clinics (Tuesday, April 3rd) and Tryouts (Friday, April 6th) for the 2018-2019 season!